Hair bands are the hottest thing to collect and this one is a rarity. 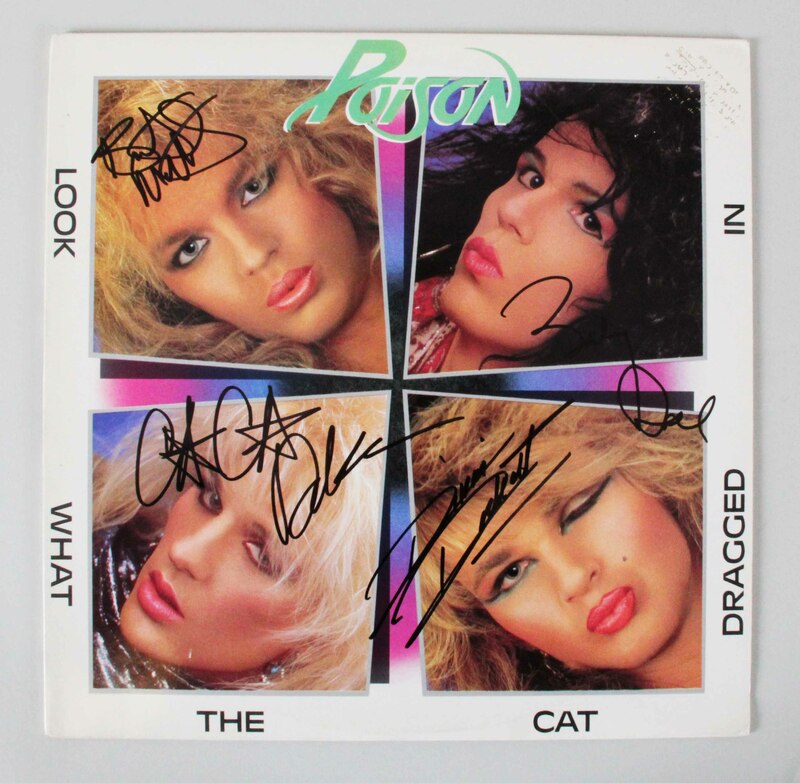 Poison signed this Promo with Orig LP insert ” Look What The Cat Dragged In” signed by Bret Michaels, C.C. Deville, Bobby Dall, and Rikki Rockett. They signed their signature in black Felt Pen and grade “10”: PSA DNA Full Letter.